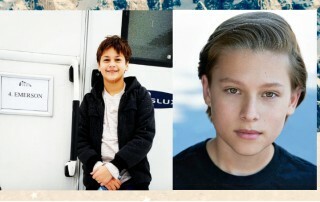 FOX Casts Child Actors JULIAN GREY and AMMON JACOB FORD in feature film Downhill! Child Actors Julian Grey and Ammon Jacob Ford to play the fraternal twin sons of Pete and Billie Stanton (Will Ferrell and Julia Louis-Dreyfus). Julian Grey (Godless) has been cast as Finn Stanton and Ammon Jacob Ford (Seal Team) will play Emerson Stanton.